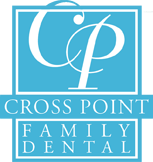 Crosspoint Family Dental offers the latest in dental implants in the Westford, MA area. Before the development of dental implants, dentures were the only alternative to replacing teeth or a missing tooth. Dental implants are ideal for someone who is missing on or more teeth as a result of an injury, periodontal disease or another reason. Implants require diligent oral hygiene and proper care to ensure that they last long-term with no problems. A dental implant is a synthetic or metal posts that are put in place by either an oral surgeon or periodontist. An implant is anchored to the jawbone and acts as the foundation for an artificial tooth or permanent bridge. In some cases, implants can be used to attach dentures. These things are critical to the success of your dental implants. Implants are preferred for many reasons. Not only do they help your appearance, dental implants improve bite function and facilitate natural chewing. Unlike dentures that must be removed each night before sleep, implants remain in place permanently. Soon, they will feel just like your natural teeth. To learn more about your options and dental implants in Westford, MA, please call (978) 459-6467 to schedule a consultation.